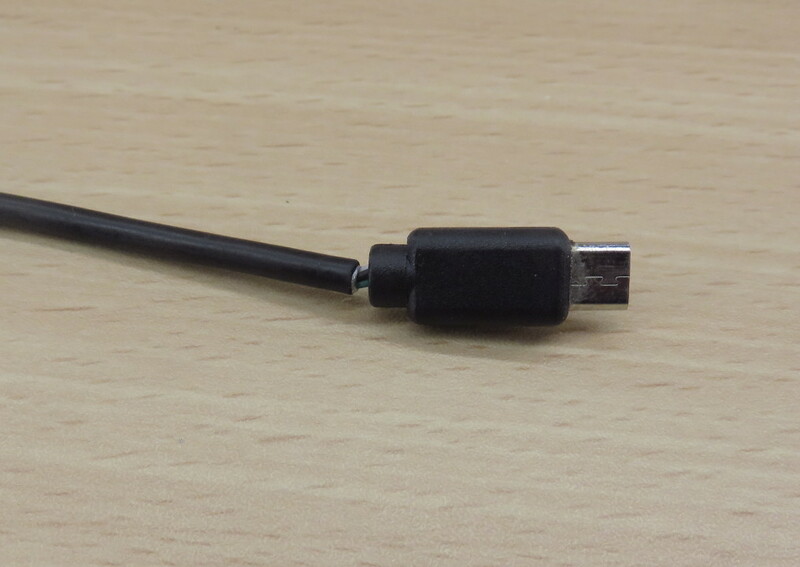 Typically, when a USB cable stops to work, the cable and the wires are often still intact. 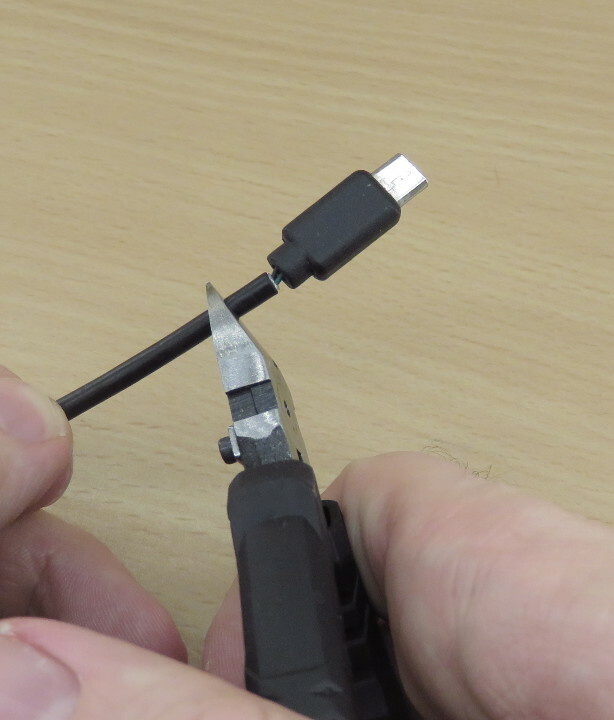 Instead, the USB connector got probably broken. 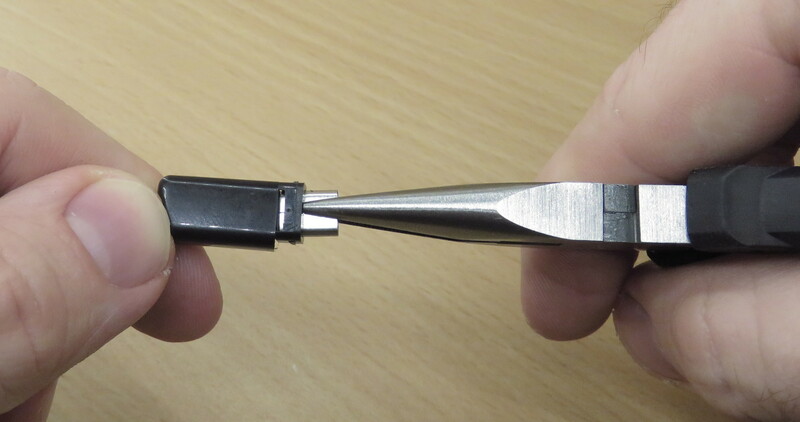 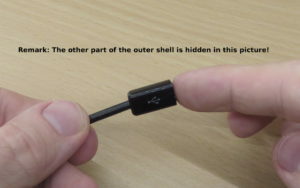 Recently, the connector of one of my USB cables became loose. 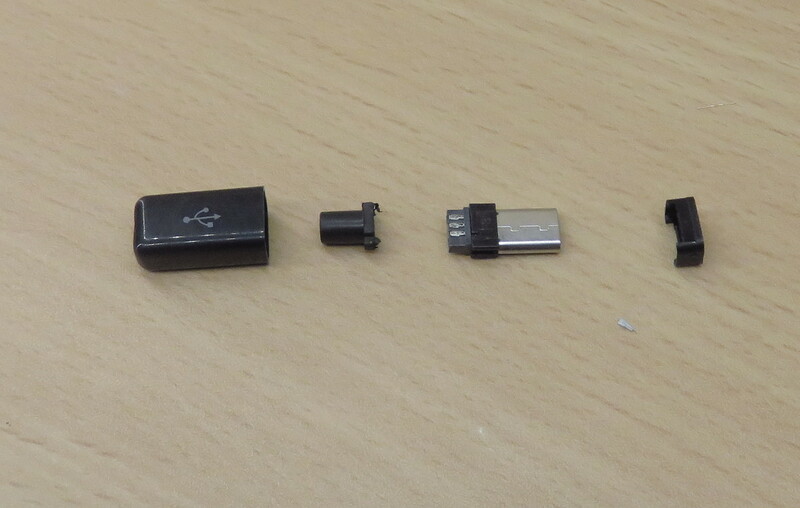 Moreover, it totally stopped working after some time. I decided to repair it and ordered a pack of USB connector replacements (also called plugs, tails, or sockets) from Aliexpress. 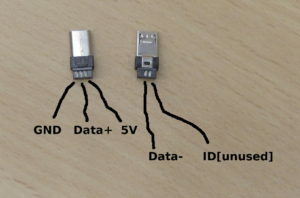 These USB connector replacements are available in many variants (different colors, different lengths, etc.). 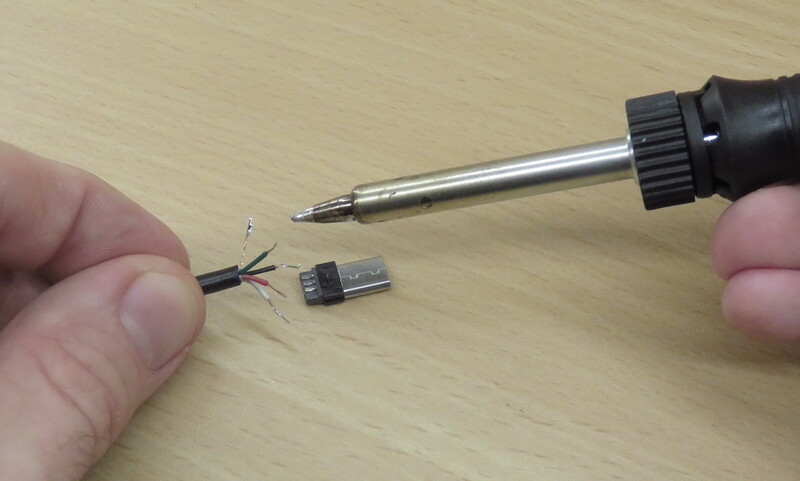 5) Now, the soldering (almost) starts. 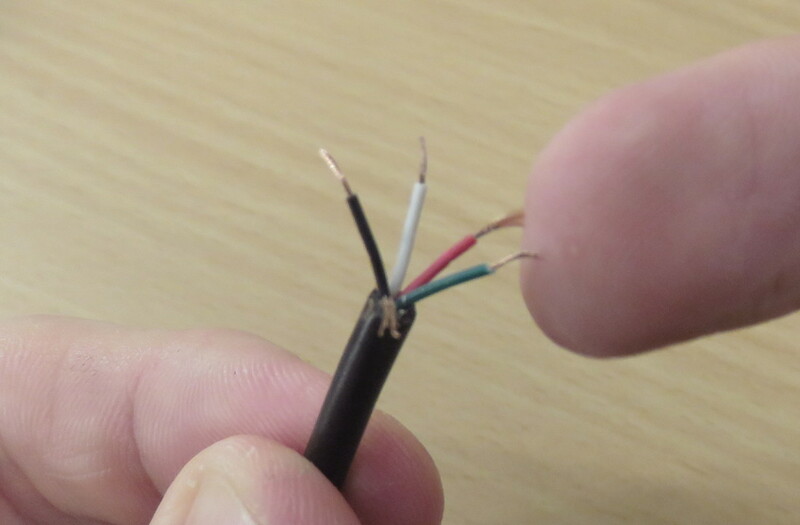 Luckily, the wire colors are standardized and used across many manufacturers. 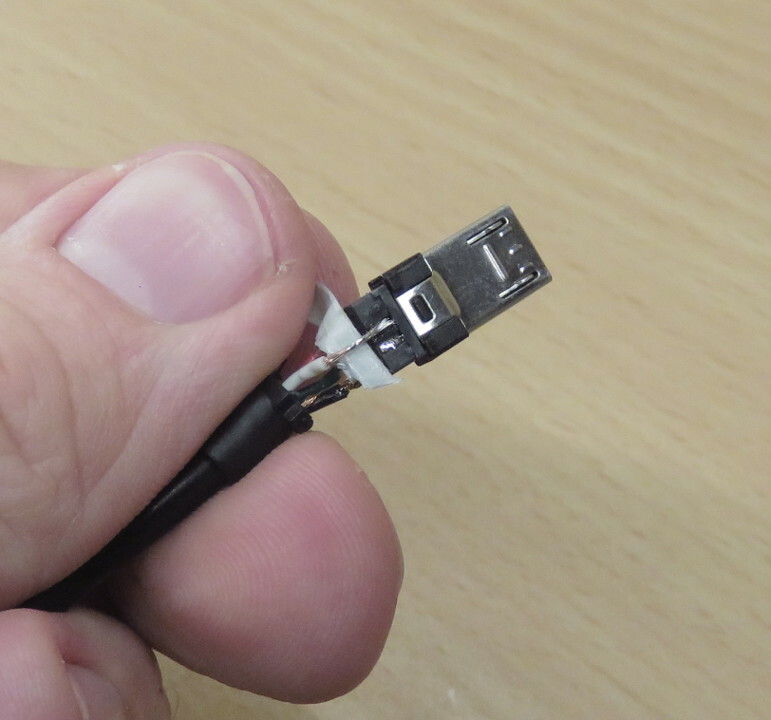 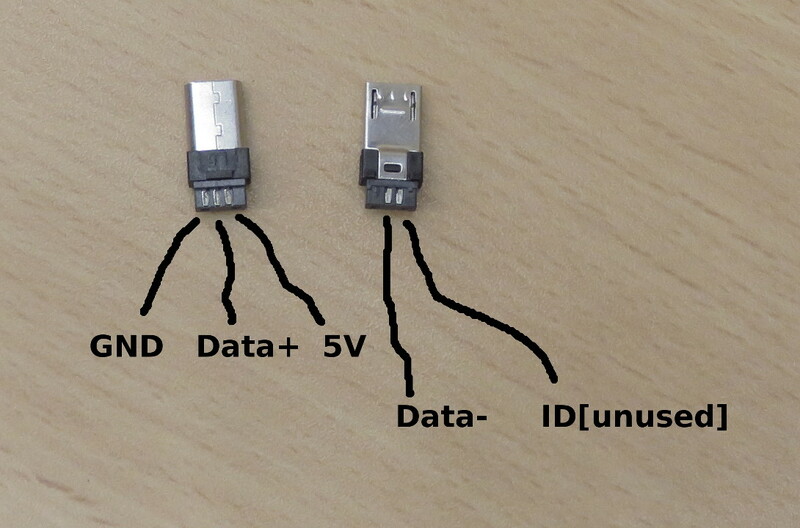 Typically, a micro USB cable has five wires: GND (black), 5V (red), Data+ (green), Data- (white), and the (outer) Drain Wire, which should be connected to the GND. 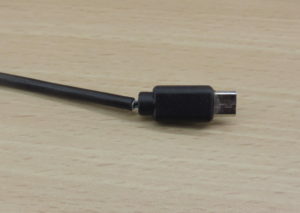 This entry was posted in Development on October 29, 2017 by mschoeffler.